Help us raise over £3,000 for the Together Trust to send a group of deprived children on a week long adventure holiday of a lifetime. 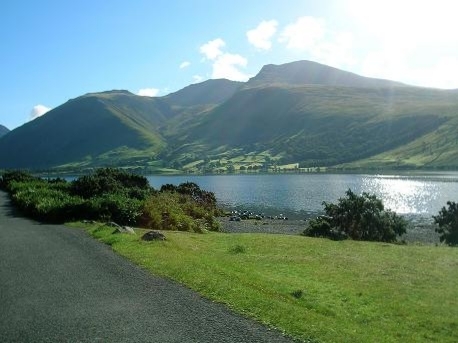 On Saturday 13th July a team from Valour Finance Group are planning on take part in a 'Lake District Three Peaks Challenge' climbing the three highest mountains in England. We will be attempting to summit Scafell Pike, Helvellyn and Skiddaw all within 24 hours. Why is this a tough challenge? We will depart from Keswick at 8 am Saturday when we will transfer to the start of the challenge at the foot of Scafell Pike. The ascent of Scafell Pike takes around 2-3 hours. We then cross the central fells, home to the biggest mountains in England and head to Thirlmere where we descend into the valley. Helvellyn is then climbed from Thirlmere and the ascent and descent takes around 4-5 hours. After meeting up with the support vehicle again we now travel in the valley heading for Skiddaw, the last of our peaks which overlooks Keswick. Typically completed in the dark Skiddaw can be done in 4-5 hours and we arrive back at the foot of the mountain in Keswick on Sunday morning. This is an endurance challenge that pushes many to their physical limits. The clock starts once our team leave the vehicle on foot at the base of Scafell Pike and will only finish once we have descended Skiddaw and arrive back at the vehicle. The team are looking for sponsorship for the 2013 event with all proceeds raised being donated to the "Together Trust" a local charity based in Cheadle which looks after and rehabilitates children with special needs and children that have been abused or abandoned by their parents or carers. 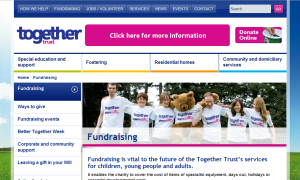 The Together Trust receives funding for the essential caring of the children from the state, however there is no funding available to give any of the children in their care any day trips or holidays. The team are hoping to raise £3,000 to give fifteen of the children most in need a weekend activity holiday in the Lake District. To donate to this worthwhile cause, please visit the Valour Three Peaks fundraising page on Virgin Money Giving. Please note that clicking the link will open a new window. In 2012, a team from Valour Finance Group took part in the 'National Three Peaks Challenge'; climbing the highest mountains in Scotland, England and Wales in 24 hours, raising £3,383.72! Read about it here.